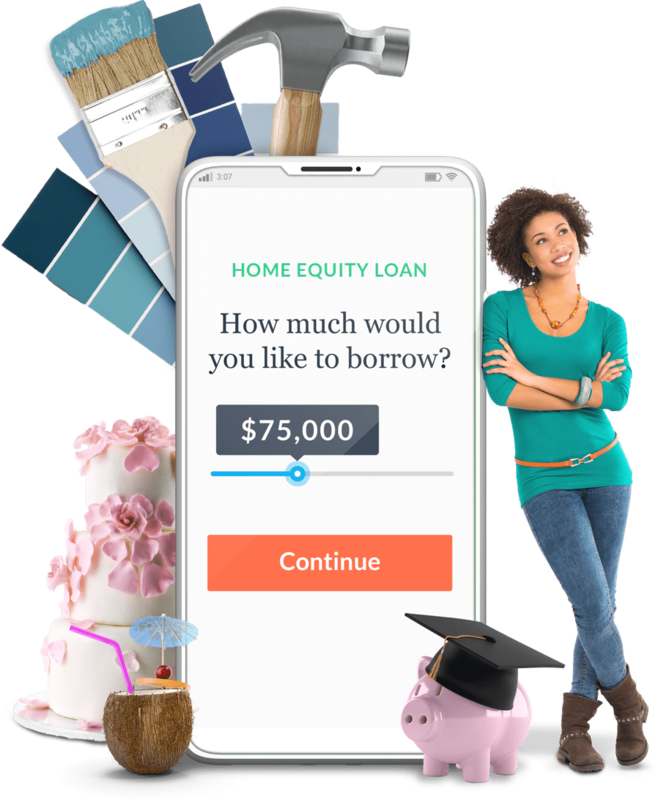 Whether you need funds for a wedding, college tuition, home renovations, a vacation, or a second home, LendingTree’s network of lenders can help you secure a home equity line of credit (HELOC) with the most flexibility and the lowest rate and fees. Want to learn more about HELOCs? Let’s get started. The market value of your home, minus the amount you owe, is the equity you have in your home. With a home equity line of credit, lenders will loan you a certain amount of money, usually between 80-90 percent of your home equity value. This money may be borrowed during what’s called a draw period. During this time, you may borrow all or some of the money, and you only pay interest on the actual amount you borrow. After the draw period, you will enter the repayment period. During this time, you are no longer able to draw on your line of credit and you must begin making payments against the balance of the loan. You’ll need a loan-to-value ratio (LTV) of around 80 percent. Not sure? Use our calculator. You’ll need to show you have sufficient income to cover your mortgage payment and the new loan payment. Lenders want to know you have a history of paying your debts. Don’t know your score? Find out with LendingTree’s free credit score. Lenders also like to see a low ratio between your overall debts and your income. This is called debt-to-income ratio (DTI). If you’re not sure how, we can help you calculate your DTI. Having additional assets, like a boat, car, rental property, or other investments, will help lenders feel more secure about lending money to you. How much equity do you need? Divide the appraised value of your home by your mortgage balance. Take the result from the above step and move the decimal place two spaces to the right. Multiply your appraised property value by the percentage found in the previous step. Subtract your existing mortgage balance from the result achieved by completing the previous step. This result is the maximum home equity loan you qualify for! If you choose to use your home equity for one of these reasons, be certain it’s a good one. Using the equity in your home is not something that should be taken lightly, and you’ll end up paying interest and fees to do it. A home equity line of credit and a home equity loan are two types of second mortgages that allow you to access the money you’ve accumulated as equity in your home. Determining whether an equity loan or home equity line of credit is right for you is no simple task. 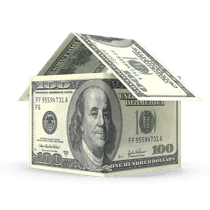 In general, it makes sense to get a home equity loan if you need a lump sum of money with a fixed interest rate, whereas, a HELOC is great for getting money in small amounts over time, but comes at the price of an adjustable interest rate. Depending on your situation, there may be advantages to getting a home equity line of credit. Lower Costs – HELOCs usually have lower upfront costs compared to home equity loans. Lower Interest Rate – HELOCs allow you to borrow money at a lower interest rate than most credit cards. Lower Closing Costs – HELOCs usually have low or no closing costs. Tax Deductible – Interest paid on your HELOC may be tax deductible. Check with your accountant to be sure. Money When You Need It – A line of credit allows you to access money when you need it. It’s like having a credit card, but it’s tied to the equity in your home. Interest-only Payment Options – Some lenders offer the flexibility of making interest-only payments during the draw period. They can render you ineligible for certain government benefits unless you structure the payout carefully. Lump sum distributions can create problems for those getting Medicaid or SSI. Variable Interest Rate – HELOCs are an adjustable-rate mortgage. This means that your interest rate can go up or down. When it does, your payment will do the same. Some lenders offer interest rate caps, so you have a little more security knowing your rate can’t exceed a certain amount. Fees – Some banks charge fees if you don’t use your line of credit, close your line of credit early, or pay off your loan early. Minimums – Some lenders require that you borrow a minimum amount. Since you don’t want to pay interest on money you don’t really need, this can be a real drawback. Additionally, lenders may require you to withdrawal a minimum amount any time you make a draw. The same principle applies here. If you only need $500, but have to draw $1000, you’re paying more interest than needed. Debt – Just like credit cards, using a home equity line of credit can put you in debt, and it will eat up the equity in your home. So make sure you spend wisely. Here’s a few checklists to help you prepare for the application process, as well as some questions you should be asking as you go through the process of getting a HELOC. Personal information, such as your name, address, and phone number, along with your social security number, and date of birth. You may need to be ready to have access to information on any other debts you have, like your student loan, car loan, or credit cards. Once you’ve prepared by gathering the information above, you’re ready to apply. Here’s a breakdown of the steps you need to apply for a home equity line of credit. Contact Lenders – Because the rates and fees for your HELOC will vary, you’ll want to contact a few lenders to compare loans and make sure you’re getting the best deal. Compare Offers – Once you have offers from three or more lenders, sit down with the offers and look them over. It’s rarely an apples-to-apples comparison, so use one of our loan comparison tools to help. Apply Online – Once you’ve made a decision, fill out the application. Most banks today will allow you to apply for your loan online. This makes filling in your information a breeze, and if you happened to miss gathering a document, you’ll have time to get it. Property Evaluation – Most lenders may require a property appraisal and inspection prior to approving your loan. This will be an out-of-pocket expense. Approval – Once you’re approved, your lender will ask for additional information to move the process along. Here are eight questions to ask your lender before you commit to a home equity line of credit. Intro Rate – Is there an introductory rate and how long does it last? Interest Rate – What is the interest rate I’ll be paying? Maximum Interest Rate Cap – Is there cap on how high my interest rate can go and what is it? Draw Period – How long does the draw period last? Borrowed Balance – Is there an overall minimum amount I have to borrow? Minimum Withdrawal – Is there a minimum amount of money I have to draw each time I want to access my line of credit? Inactivity Fees – Are there inactivity fees I’ll have to pay if I don’t make a draw? Prepayment Penalties – Are there penalties for paying off the loan early? Balloon Payment – Is there a large, one-time payment at the end of the loan term? Can You Get a Home Equity Line of Credit on an Investment Property? Reverse Mortgage vs HELOC: Which Is Better for Me?